Diehl Collision, body shops and collision repair, have what it takes to perform even the most difficult and demanding repairs. Diehl Collision Centers employ the most qualified, experienced, and certified technicians who will ensure your car or truck will be on the road for years to come. Our new Diehl Automotive Group Collision Center in Robinson is larger and more equipped than ever before. You’ll experience top notch customer service and you can rest assured that only Pennsylvania’s most qualified technicians will perform work on your vehicle. Best of all, we offer FREE estimates and a five-year warranty on all of our body work. Call today or use the form below to schedule your free estimate! 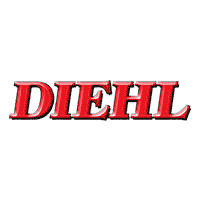 Diehl of Butler’s eco-friendly paint bay, one of the best paint booths in Western PA! Fortunately, Diehl Collision Centers will make sure that your car remains in the best possible condition throughout many years! We’re staffed by expert certified technicians that have been trained to provide high-quality repairs and restorations for Pittsburgh area drivers. Whether it’s a minor touch-up or major structural damage, we’ll perform the necessary repairs to have your car looking and driving just like new! The Chief Goliath frame straightening machine. Don’t let unsightly scratches, dent or dings impair your car’s appearance when it’s just as easy to bring your car down to our Butler or Robinson, PA Collision Centers for repairs near Gibsonia, Cranberry, Pittsburgh, Robinson, and Mars PA! We also have convenient locations in Grove City and Salem, Oh! If necessary, we’re happy to provide pickup and delivery service or make reservations for a rental car at our in-house rental agency. It’s just our simple way of removing the stress from auto repair and service! Of course, you’ll enjoy the confidence that comes with leaving your car in the hands of our trusted and certified technicians! Return your car to its original shine by scheduling a service appointment online and dropping it off at our convenient location in Butler, Robinson, Grove City or Salem, OH. You’ll be back on the road in no time at all!